Our stations are more than just places of business or garages to house our apparatus. Being in the center of the Fair Grove community, they are used for numerious community meetings and classes, provide a polling place for elections, and even host birthday parties and family reunions. Our part-time staff and volunteers man stations 43 and 45 twenty-four hours a day, seven days a week. This has allowed our stations to be designated as "Safe Places" for children needing emergency asistance. Sub-station 44 does not have staff quarters but members can very frequently be found maintaining the building, aparatus, ad grounds or just "hanging out". The stations become almost homes away from home for our members, who are at the stations for weekly training meetings, monthly duty shifts, returning equipment to service after incidents, or just spending time with their "brothers" and "sisters" in the department. 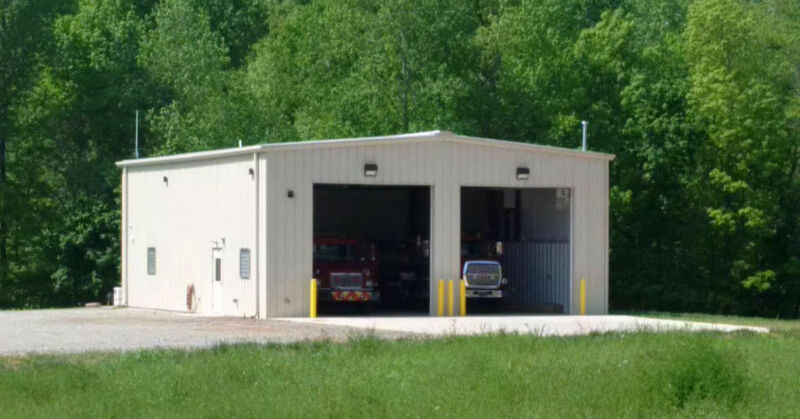 These buildings not only house our equipment but represent our commitment to and service of our community. 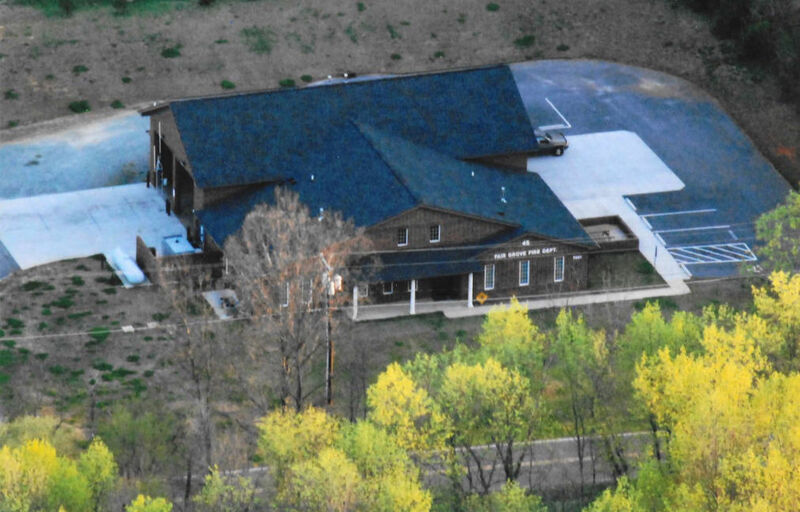 Station 43 is our headquarters and is on the site of our original station. The current building is the third structure to occupy the property bought in 1958. The original station contained two bays, and oil circulator and bunk beds. An expansion of three bays to the front of the building and a meeting room and sleeping quarters for two members on the back was added in 1963. In 1965, the bar-b-que pits were built to help with fund raising for operations. Adjacent property was purchased from Elliot Florist in 1979. The plans for the current station were approved by the board of directors in 1986. The new building was constructed approximately 10 feet from the original, allowing the apparatus to remain on site and in service for the entirety of the construction. The bar-b-que pits were moved to their current location and the memorial was erected at this time as well. The station has six bays, offices, three bedrooms, a day room, meeting\training room, and ample storage room. Our newest station, 44 is a sub-station built to place apparatus closer to southern areas of the district, reducing the response time. It has two bays and some multi-use space. 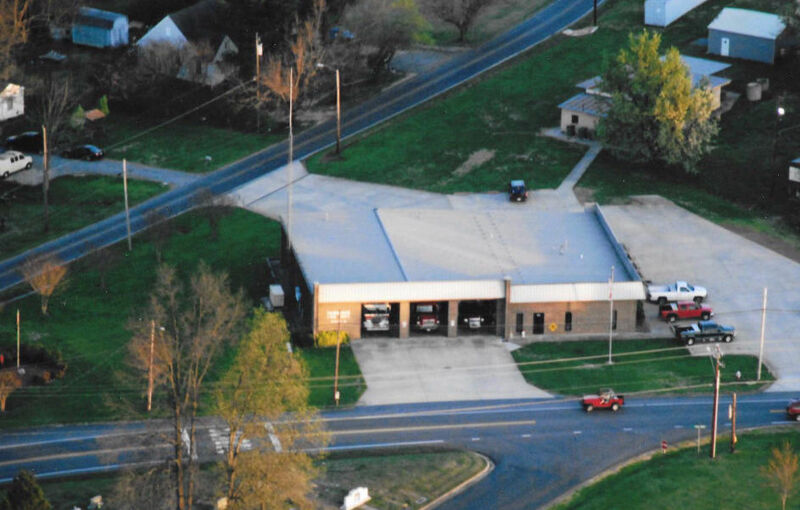 In 2005, In response to the incorporation and growth of the City of Trinity, the department purchased land on Welborn Rd in order to expand to two stations. Station 45 was completed in 2008. Located in a primarily residential area, the building was designed to have a more domestic look. With its four bays, office space, three bedrooms, living area, and upstairs storage space, the station is ready to respond to the eastern side of the district including over three miles of Interstate 85.